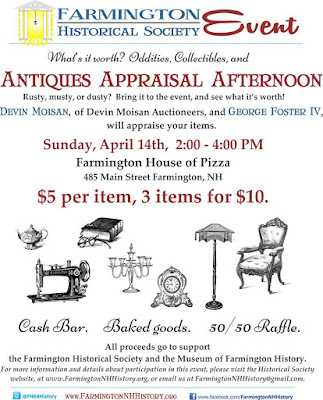 The Farmington Historical Society is hosting another Antiques Appraisal Afternoon! Bring your favorite antiques or the items you've always wondered about to be appraised and make sure that your friends bring theirs too! 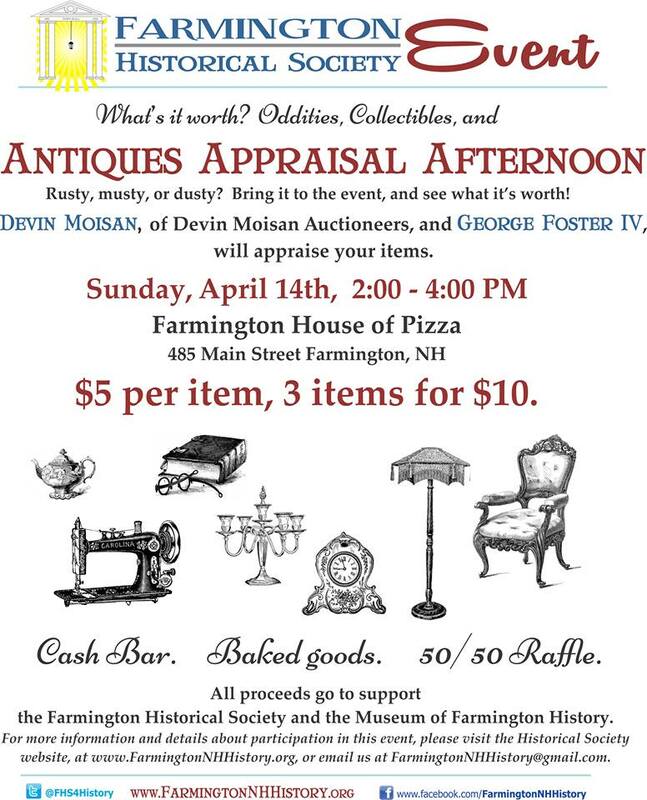 Proceeds to benefit the Historical Society Museum of Farmington History and the Farmington Historical Society Scholarship fund.